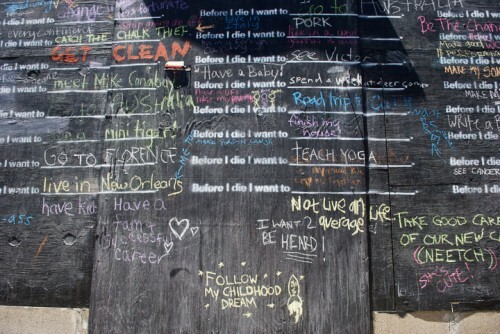 Before I die I want to hike the Appalachian Trail. 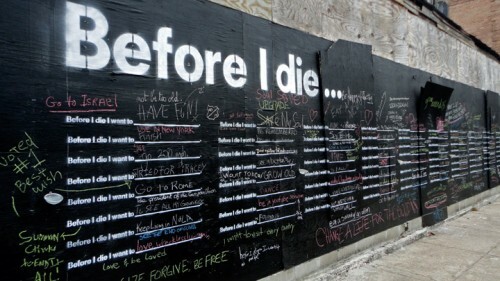 Before I die I want to eat all the candy and sushi in the world. 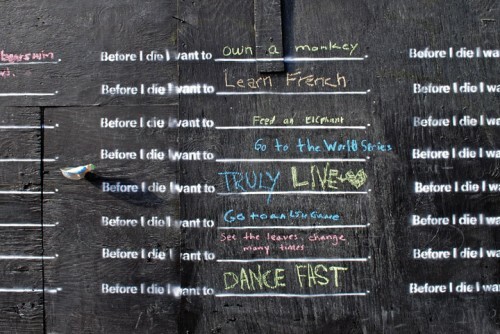 Before I die I want to own a monkey. 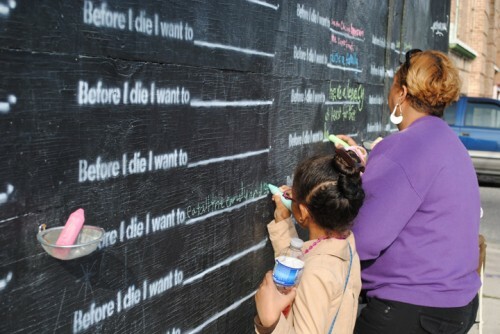 Before I die I want to eat a salad with an alien. 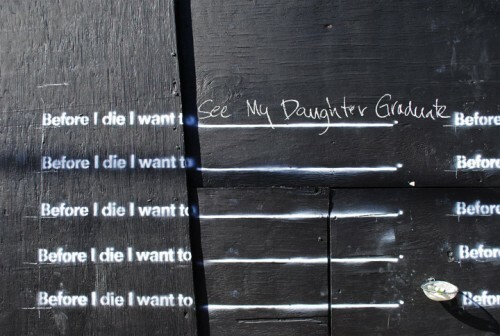 Before I die I want to hold her one more time. 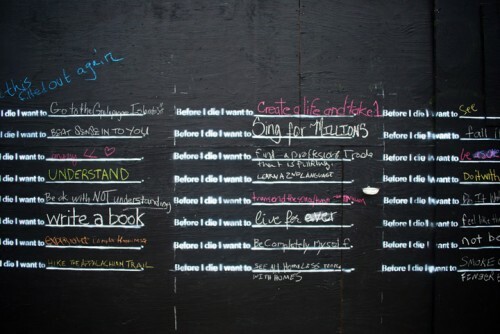 Before I die I want to cook a souffle. 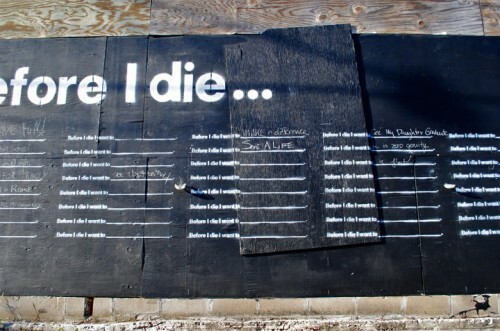 Before I die I want to make it in the hip hop. 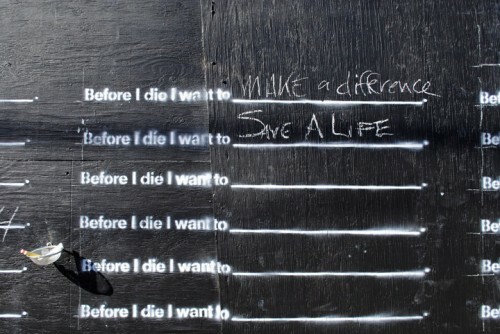 Before I die I want to help numerous children. 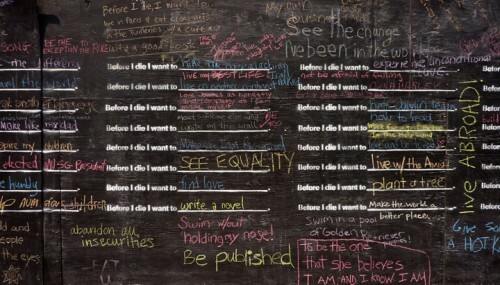 Before I die I want to be the exception to the rule. 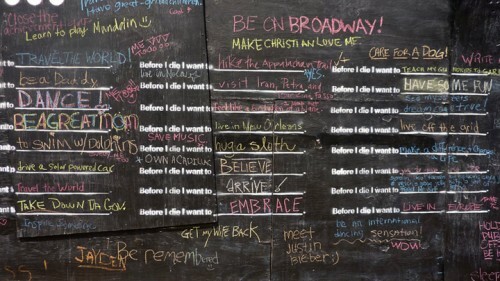 Before I die I want to love and be loved. 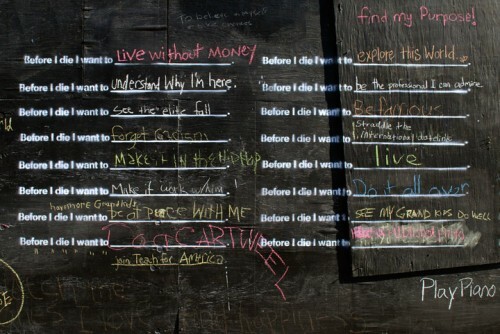 Before I die I want to live without money. 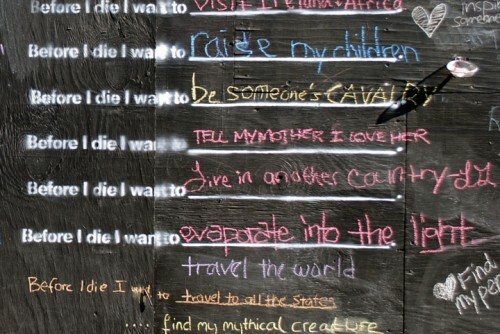 Before I die I want to be someone’s cavalry. 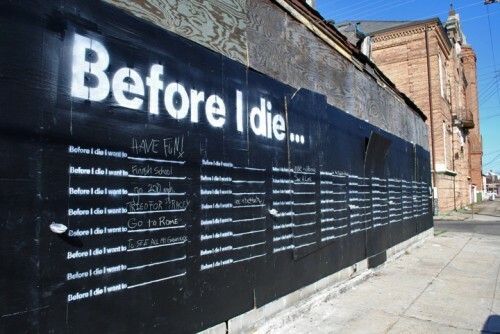 Before I die I want to enjoy more cities with the people I love. 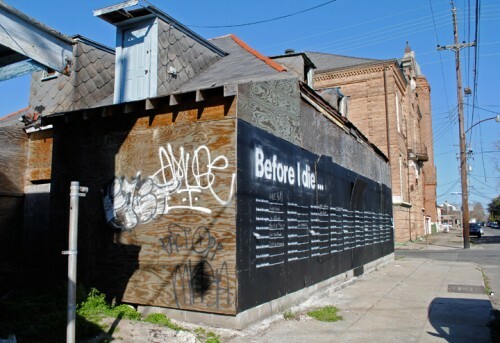 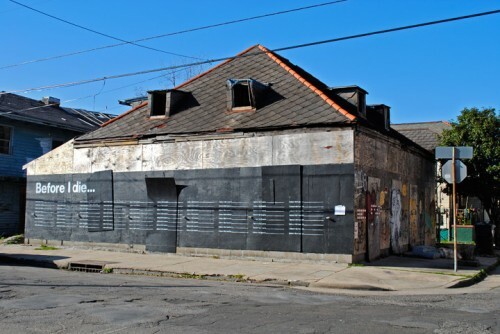 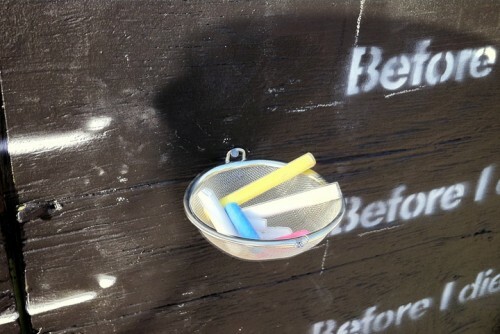 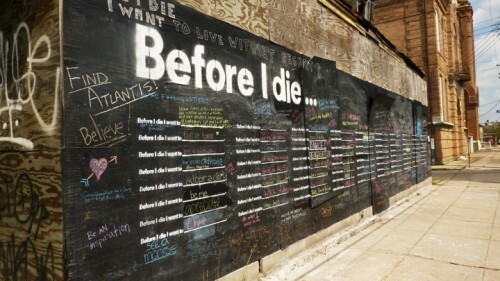 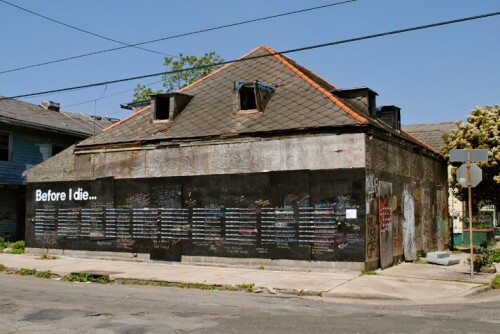 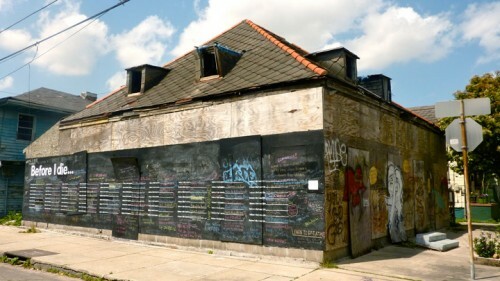 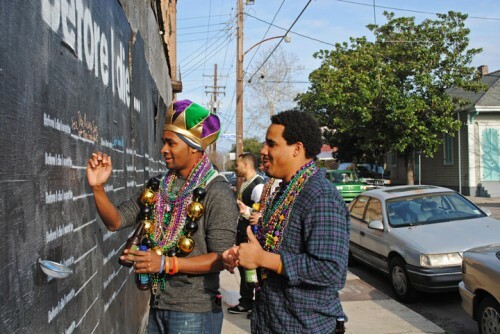 Before I die I want to fool around with public space. 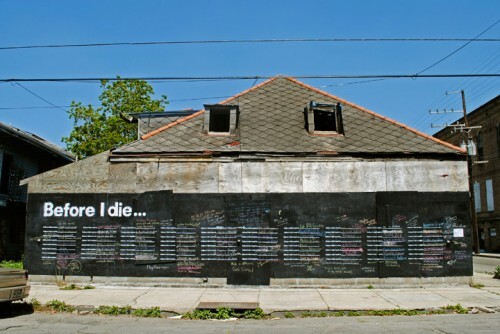 Before I die I want to live in an old hotel and read books for weeks. 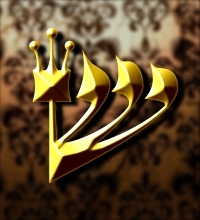 Kendi Čeng je umetnik javnih instalacija, dizajner, urbanista i ko-osnivač Građanskog centra čija je žela da gradovi postanu mesta mnogo prijatnija za život ljudi.